I knew nothing about it until I stumbled across this VHS tape of the first episode at a used game shop back in the late ’90s, or maybe early 2000s. I don’t remember what I paid for it, but it wasn’t much. I’m not sure the shop knew what it was. 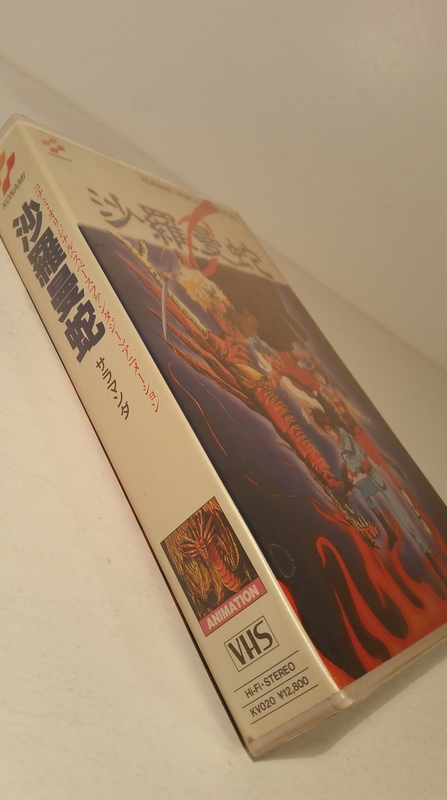 The packaging is typical of anime releases in the ’80s and ’90s: a nice plastic clamshell case with cool artwork on the front and back, and a couple of small printed inserts. I’m actually impressed that the cassette itself is printed with the Konami logo. How cool is that? 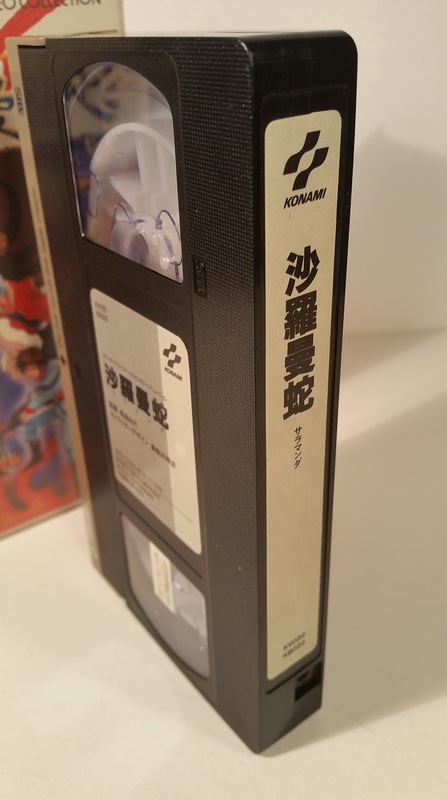 It reads “Konami Video Collection” in a few places on the package, but I don’t know what else was included in this Konami series, other than the remaining two episodes of this series. From what I can gather from the show’s Anime News Network entry, the first of the three episodes was based on Salamander, while episode 2 was based on the original Gradius story and episode 3 followed Gradius II. I wasn’t even aware that there were two more episodes until recently — when I got this, I thought it was a one-shot. If the character designs have a familiar look to them, that’s because they were by none other than Haruhiko Mikimoto — yeah, the Macross guy. Kind of a big deal. As for the show itself? It’s pretty cool! Dying to see it? You’re in luck! All three episodes are on YouTube, and fansubbed too! I’ll link to them below — they were not uploaded by me, however. Enjoy! !